The Boston Celtics are on a bit of a slump right now, and have lost four of their last eight games. There are a variety of reasons for the struggling stretch, one of which being pure lack of effort, but another factor has become evident in the past few games: their former players are coming out for blood! Two of the Cs' most recent losses have come on the shoulders of players who wore green last season. Last week, it was the 'Swedish Larry Bird' who made a statement versus the Celtics. This season, Jonas Jerebko is averaging 6.4 points and 4 rebounds over 17.5 minutes of play. Against the Celtics the other day, Jerebko saw some of the most floor-time he's seen all season, logging 24 minutes in the game, and shot the lights out against his former team. He finished the game with 17 points on 6-of-8 shooting from the field and 2-of-3 hitting from behind the arc. In addition, he gathered 7 rebounds and swiped 2 steals on the night. One of those steals came early in the game and helped create the momentum that the Utah Jazz would take advantage of for the remainder of the contest. The Celtics ended up losing the game by double-digits, 107-95. Then just yesterday, another giant caucasian brought the heat (ha!) versus the Celtics. Kelly Olynyk scored the most amount of points in a game that he ever has in his five years in the league, finishing with a whopping 32 big ones on Wednesday night. He went 12-of-15 from the field and added 6 three pointers on 8 attempts. He would also grab 7 boards and drop 2 dimes on the night. Just ridiculous stuff from a guy who is averaging ten points on the season. The Celtics would fall to the Miami Heat 90-89. Let us not forget earlier in the season, when the Celtics lost their 4th game of the year to the Detroit Pistons. Avery Bradley was there to shut down the Celtics' best scorer, Kyrie Irving. It was a game of mismatches, as Brad Stevens attempted to avoid the Bradley-Irving matchup as much as possible. In two games against the Celtics, Avery has put up 13 and 12 points. Other former players have put up above-average numbers when facing Boston. Last night, Jordan Mickey tallied three more points and three more rebounds than he does in an average game. He finished with 8 points and 8 rebounds. Amir Johnson did the same when he ended a game with 6 points, 6 rebounds, and 4 assists against the Cs a few weeks ago. That was the second most assists that he's finished with all season. Hopefully this trend doesn't continue into January, when Isaiah Thomas is expected to return to the court after rehabbing from a hip injury that has kept him on the bench all season. Isaiah surely has a chip on his shoulder, and will want to make Danny Ainge regret ever trading him from the team. I can see a 50 points accumulating pretty quickly if he's back to full form. The Cs will take on the Cleveland Cavaliers on January third of the new year. Anyway, the Celtics have noted the point totals from their former friends, and I think the message has gotten through to them that they need to play better if they expect to be taken seriously once June rolls around. Of course, there's plenty of time to regroup before then, and I expect they will. 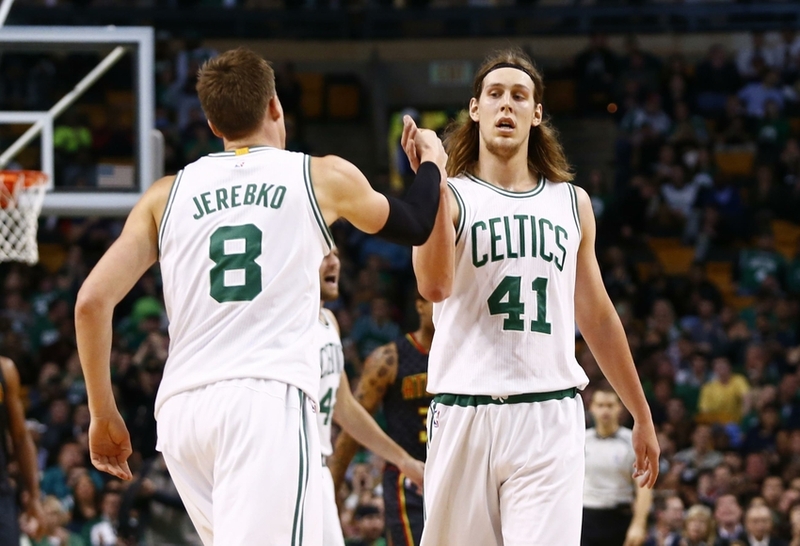 Stevens on Kelly Olynyk: “He played a great game. I’m certainly happy for him. It was definitely at our expense. Second time in a week one of our former players came in and gave it to us." Luckily, the New York Knicks don't have any former Celtics on the roster, so tonight's tilt should go more smoothly.